Bodycote has opened a new facility in Haltom City, located between Dallas and Fort Worth, Texas, USA. The company’s existing Fort Worth business will be relocated due to redevelopment of the area. A new heat treatment facility is being constructed in Haltom City and a ceremony took place at the new location on 26 August,2016. The new facility will hold international quality standards including Nadcap, AS9100 and ISO9001, as well as OEM approvals, the company said. 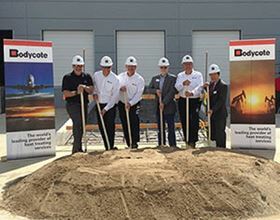 In addition, Bodycote is expanding service offerings at its Arlington, Texas facility. This story uses material from Bodycote, with editorial changes made by Materials Today. The views expressed in this article do not necessarily represent those of Elsevier. Heat treatment specialist Bodycote has officially opened its new facility in Rotherham, Yorkshire, UK. Thermal processing services provider Bodycote has announced that its heat treatment plant in Covington, Georgia, is now open. Bodycote reports that its Derby, UK location is the first facility in Europe to earn MedAccred accreditation.